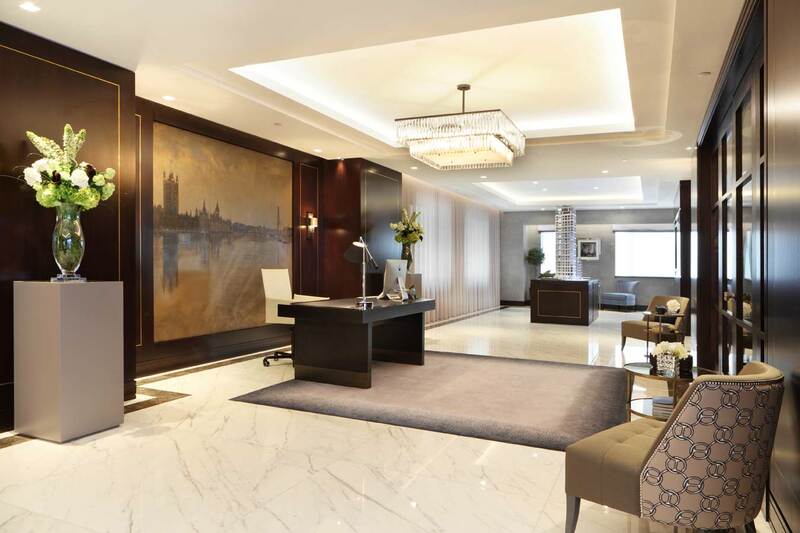 A marketing suite, show apartment and offices at an exclusive Mayfair address. 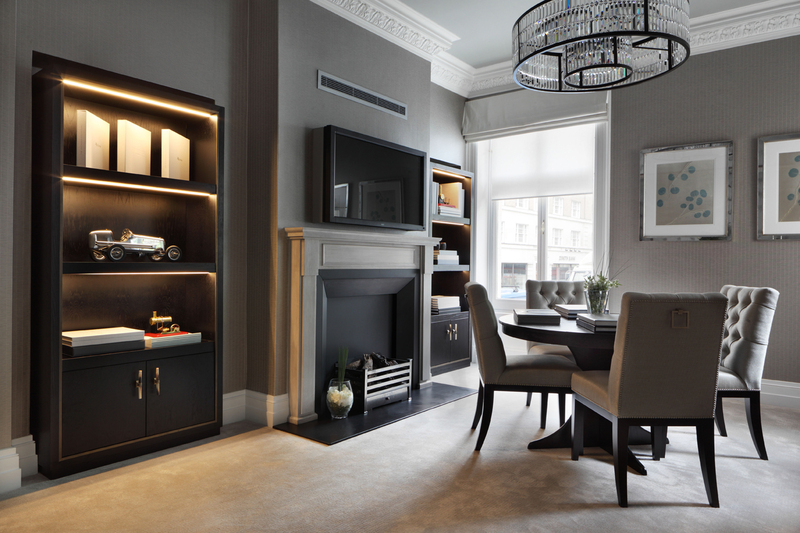 Our client – an interior design practice working for a prestigious property developer – came to us looking for a multi-faceted approach to their scheme requiring an assortment of materials. Inset areas in the reception, hallways and meeting rooms required bespoke rugs. Giving consideration to the project’s time constraints, we worked with a British-based factory that adapted their standard methods to combine pass machine and hand tufting techniques to create stunning pieces. Show apartment rooms were carpeted with luxurious faux silks and offices were fitted with two colours of carpet tile to create eye-catching border designs. 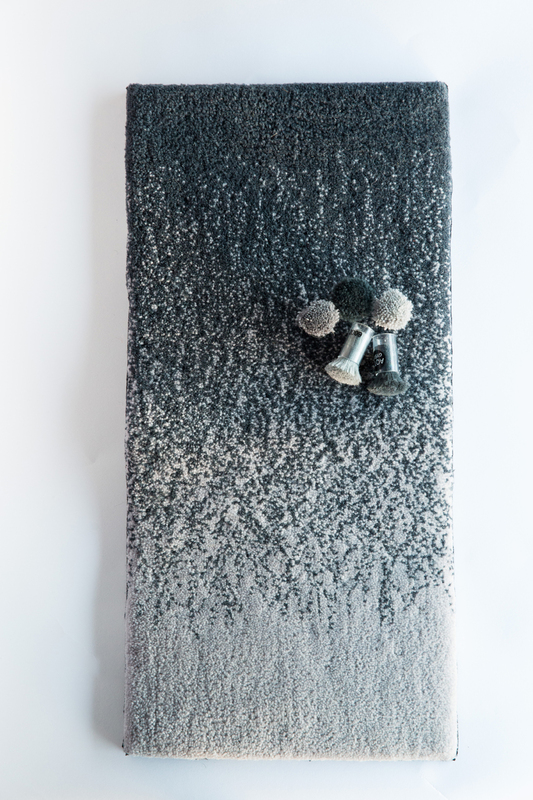 Hand tufted trials were created to demonstrate the stipple effect that could be achieved. 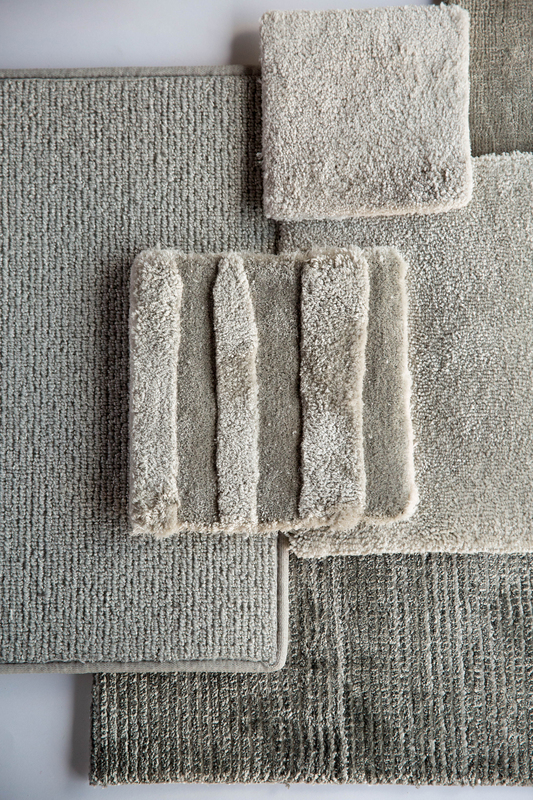 Faux silk cut pile carpets created a sumptuous look and feel. Selections were made from an assortment of luxurious silk, viscose and faux silk options.